Looking for an Electrician in Lambeth? Great! You’re in the right place! 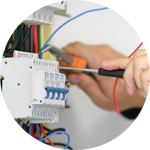 The London Handyman service provided by the Handy Squad have a team of highly trained and professional electricians in Lambeth. 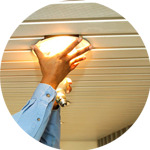 If you need sockets, switches or light fittings to be installed, we have the team to ensure your job is completed both safely and practically. We replace unwanted or broken appliances you use either commercially or domestically. 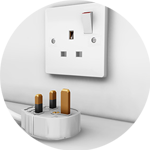 Sockets, switches and junction boxes can all be modified or changed with ease! 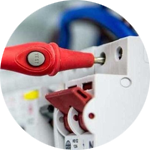 And our fault finding and repairs service means all electrical issues can be investigated both safely and correctly. Since the 13th century, the Palace in Lambeth has been the home of the Archbishop of Canterbury. The oldest parts of the building are Langton’s Chapel and the Crypt. The headquarters of the International Maritime Organisation is also located within the district. The organisation is a specialised agency of the United Nations, responsible for regulating shipping. Handyman in Lambeth and electrical work is just the start! 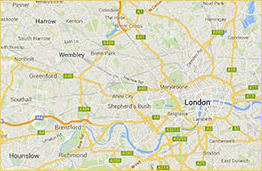 We have plumbing in Lambeth, decorating in London and carpentry in London. 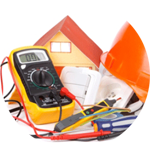 Whether you need your house fully rewired or a few minor electrical tasks completed, the Handy Squad are here to help.